Over here in the Central Oregon trail shoe test lab, I received a pair of Altra Lone Peak 4’s to eat up the high desert dirt and rocks. 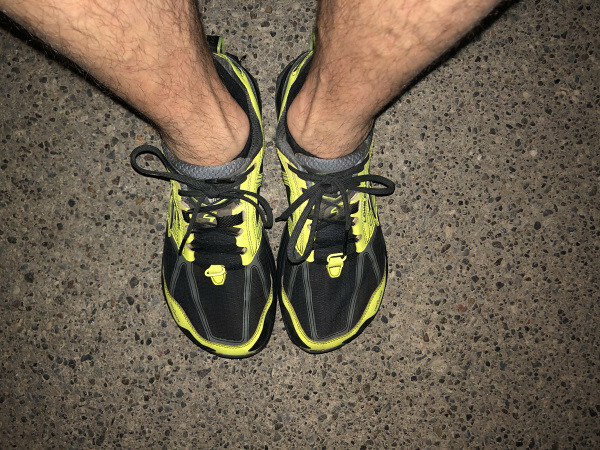 Having had the distinct pleasure of racing in a pair of Altra King MT 1.5’s for the last few months, I was excited to try something else from the Altra trail shoe arsenal. Therefore, without further adieu, let’s break it down. Whenever I do shoe reviews, I like to take the initial glamor shot of the new shoe in all its beautiful new shoe glory. Given the snazzy neon yellow color of my pair, I felt it was worthy to put some solid miles on them and then clean them up. The pair in the picture has 139 miles on them and they still feel like new. FOOTSHAPE™ TOE BOX Allows your toes to relax and spread out naturally for more comfort and stability in uphill climbs and downhill descents. ZERO DROP Places your heel and forefoot the same distance from the ground to encourage proper, low-impact form throughout your trail run. TRAILCLAW™ Canted lugs positioned strategically beneath the metatarsals to provide traction at toe off. STONEGUARD™ Sandwiched between the A-Bound and EVA midsole, the StoneGuard™ offers flexible protection from rugged terrain by deflecting rocks into the midsole for a smooth, stable ride. 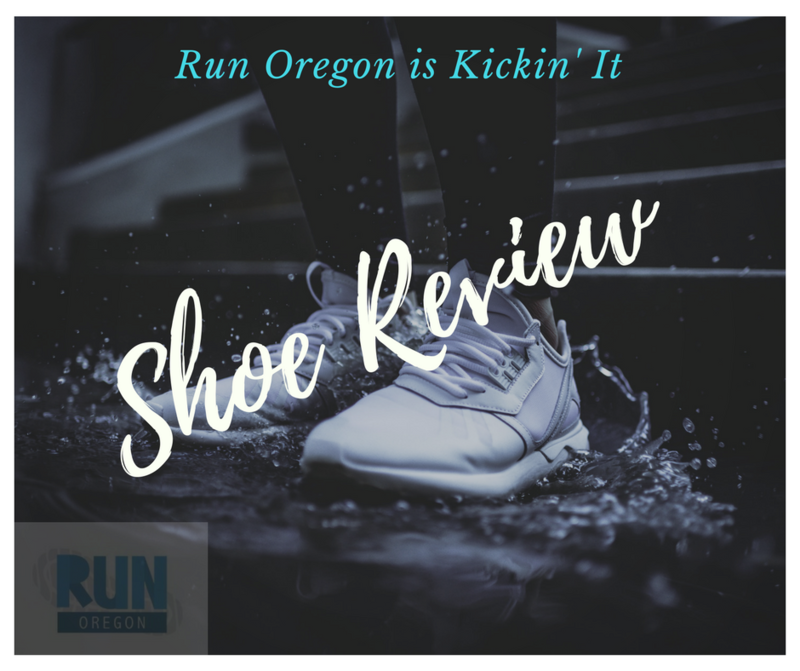 For those of you who wear, or have worn Altra shoes, you know about the FootShape Toe Box that Altra is known for, and how it allows your foot to really open up during your runs, especially as your mileage grows. If you are unfamiliar with this feature, it is especially valuable for those of us with wide feet, but is significant for all trail runners. Another feature worth pointing out is the Stoneguard that is mentioned above. Every good trail shoe ought to come with some sort of rock plate or stone guard. In my opinion, be wary of those that don’t. 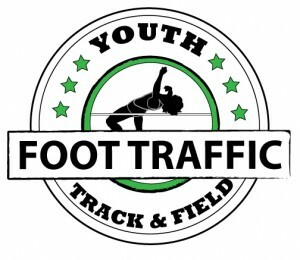 This is a big deal for trail running and is most noteworthy as the trails turn rocky. Certainly, you didn’t come this far to read about the blurbs on a website, but to know how these puppies perform in the real world. As is my routine, I like to get some easy trail miles on them at first before really testing them. 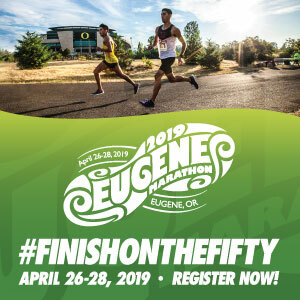 While it is true that I took it easy for the first couple of runs, I decided that after 50 miles, this pair needed to race a 50K. 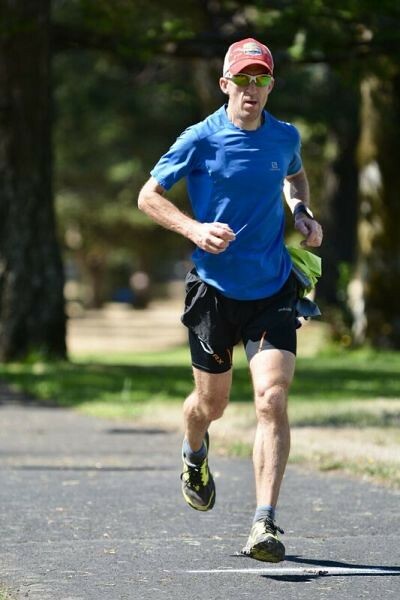 Two weeks ago I ventured into the Columbia Gorge and took part in a solid race called 3 Corner Rock. With 6,000 feet of gain, I knew this would be a good test. The shoes performed better than I expected, handling large rocks, loose dirt, steep uphills and steeper downhills, all while remaining comfortable. The stone guard kept these shoes feeling good, even near the end of the race when the last 1/2 mile was on pavement. There really is a lot to like about the Lone Peak 4’s, from how they snug your feet with theirintegrated tongue, to how the TrailClaw really owns the rough terrain. I like the laces, which do not slip and the feel of the upper, which almost has a slipper like quality on my feet. 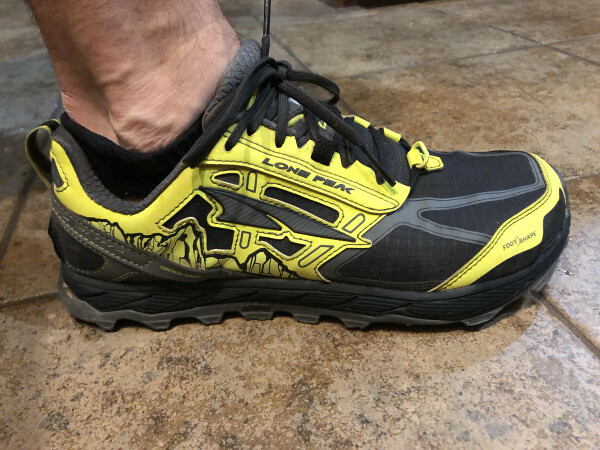 Lastly, the Lone Peak’s are a really good looking pair of shoes, which might seem funny but I kind of like it when my shoes look gnarly, like they’re ready to take on a mountain and then tell stories about how they outran a cougar. As I prepare for my next trail race, I’m fairly certain these will be on my feet. Fit: True to size. I wear a 9.5 typically, which is what this pair is, and they fit marvelously. Specs: Weight = 10.2 ounces (size 9.5). Stack height = 25mm. Drop = zero (as are all Altra shoes). Cost/Where to Buy: $120 with free shipping on Altra’s website.